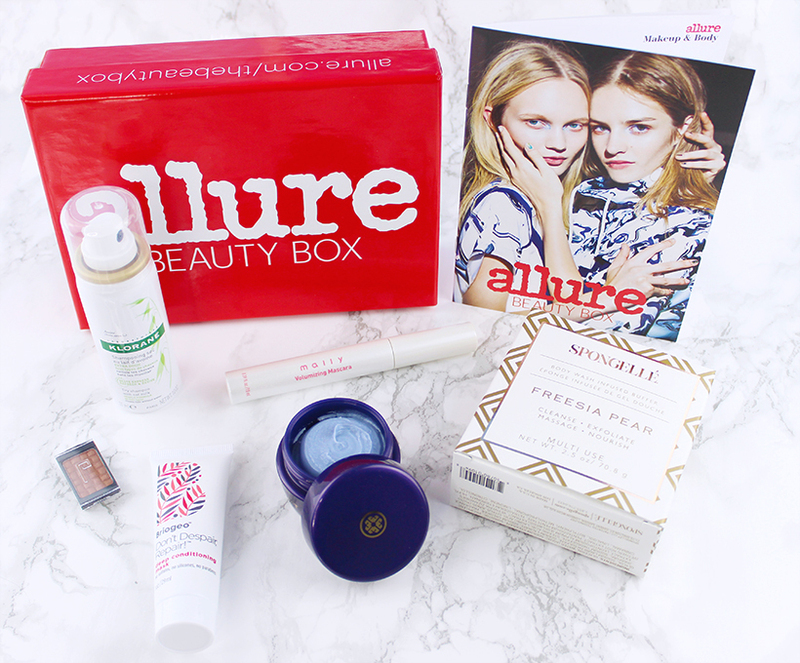 I've been reading Allure magazine since I started this blog so I was pleasantly surprised to receive a complimentary Allure Beauty Box which usually runs $15 per month (right now they actually offer the first 4 boxes for $10 only) and offers some Allure's staff beauty favorites. I was really happy to find that among the 6 samples, 2 were actually a full size products: Mally Volumizing Mascara ($20) and Spongelle Freesia Pear Body Wash Infused Buffer ($15) which already exceeded the cost of the monthly box in product value. The booklet included gives you more information about each product as well as why Allure liked it - a really cool idea in my opinion. Other samples that have been included in this Allure Beauty Box are Klorane Dry Shampoo With Oak Milk (heard a lot of good things about this product, so I am excited to give it a try), Tatcha Indigo Soothing Silk Body Butter (absorbs into the skin super fast and has quite the unique scent to me), Doucce Freematic Eyeshadow in Kristi (universal product that can be used as a eyeshadow, liner or highlighter) and Briogeo Don't Despair Repair Deep Conditioning Mask (super moisturizing but lightweight, can't wait to try it out). 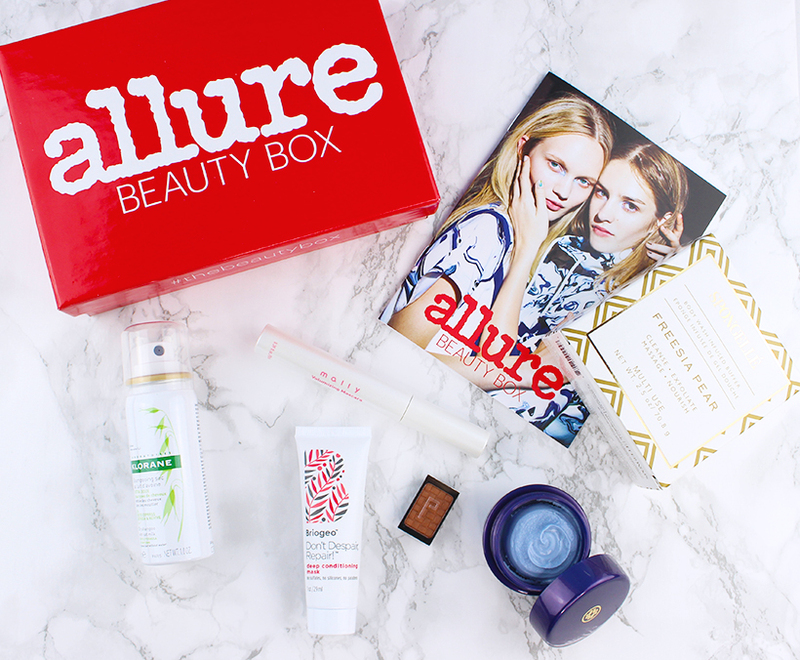 This is my first and only Allure Beauty Box so I am not sure about any previous boxes but I do like the selection and quality of samples in this one. I feel like they really put some effort into choosing and including some interesting products instead of just throwing random travel size samples like it happens in a lot of subscription boxes services.